What motivates people to volunteer? Many feel compassion, a sense of community, and a desire to give to those less fortunate than themselves. We are continually in awe of our volunteers as they give up their free time, and instead work hard to help someone they will likely never meet. So you can imagine our amazement when we meet volunteers that aren’t even old enough to drive yet. Compassion and community are complex feelings we develop over time in our adult lives. Being selfless is hard, especially when it’s on a Saturday morning. Although only 9 years old, Harrison is the living example of compassion. He has volunteered at almost all of our Kid’s Day events at our Wilmington Branch for three years. Even if it means coming in after or before a sports event, he comes to work hard. He invites his neighbors, Trail Life Boys troop, and church members to join him at the Food Bank as well. His community has donated over 300 volunteer hours thanks to Harrison. 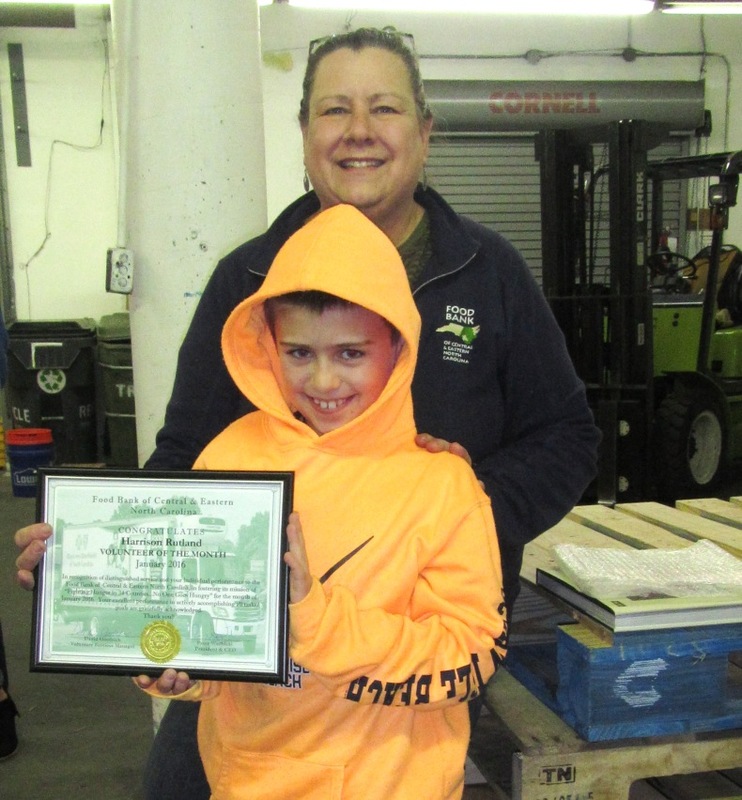 This year in addition to sorting food donations, he also worked with his Trail Life Boys troop to build a float for the Food Bank in the Wilmington Holiday Parade. This float won second place and came with a $50 donation. He told us next year he is going for first. And for his 10th birthday this year, Harrison didn’t want a party or gifts. Instead he asked his parents to invite his classmates to bring donations and volunteer at the Food Bank to celebrate. Not only does Harrison show compassion for the people we serve, he leads the way in teaching other’s the art of compassion as well. Well done, Harrison! Thank you for your service! Marissa regularly volunteers at our Raleigh Branch and cares deeply for our mission and the people we serve. Every time she comes to the Food Bank, she asks thoughtful questions about how the food she works with gets to people who need it. Even when she’s not at the Food Bank, Marissa is still thinking about those in need. Her chosen reward for doing well in school and at home is to add items to her food drive donation box. For every good grade in school, she adds another item to donate to those in need. Marissa works hard and always has a smile on her face and at least 10 knock-knock jokes to share. She is never daunted by potatoes that are past their prime and is a joy to have in our distribution center. And even though Marissa is the one being generous with her time, she still goes out of her way to send thank you notes to Food Bank staff. Thank you for sharing your sense of humor and cheerfulness with us, Marissa! We always appreciate your hard work and dedication! 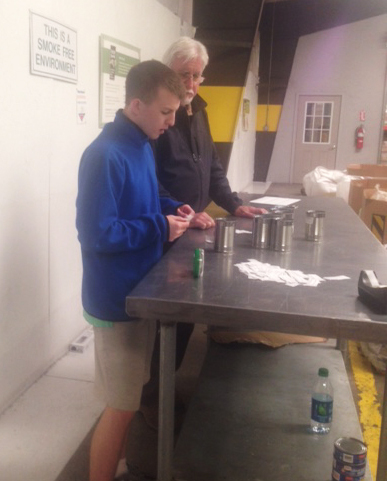 Holden Taylor volunteers at our Greenville Branch five days a week. He comes in the afternoon and works for at least an hour and a half in our distribution center. He also volunteers on many Saturdays as well. When asked about his volunteer experience, Holden said, “I like sorting eggs and organizing food into boxes. At the Food Bank I have learned how my volunteering helps people in need. I like volunteering here because I get to work with other volunteers.” Thank you for your service, Holden! It is always a pleasure having you! Without the hard work of dedicated and compassionate volunteers, we could not provide food to thousands of food insecure households in our service area. Our army of volunteers doubles our workforce, adding the equivalent of 91 full-time employees through 189,353 hours of service last year. On behalf of the Food Bank, thank you all for your generosity, leadership, and service! 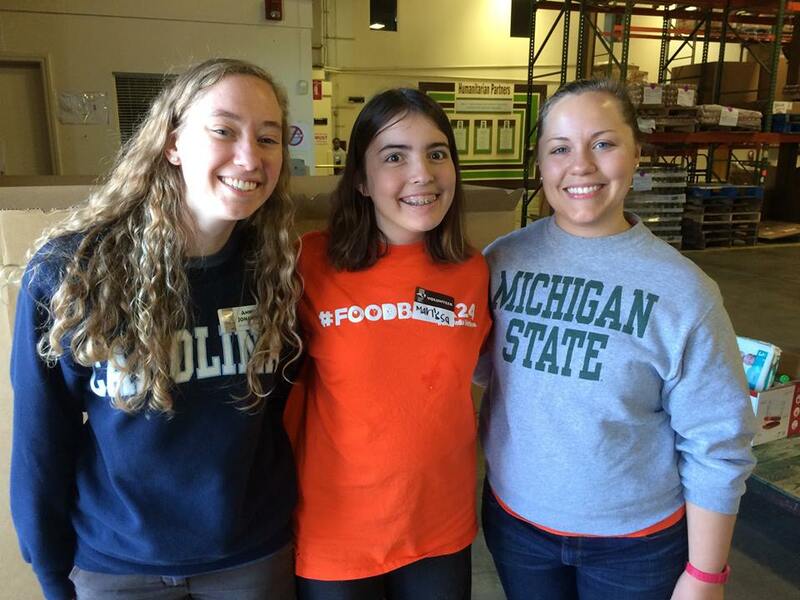 Learn more about volunteering at the Food Bank on our website: www.foodbankcenc.org/Volunteer.